This Big Mirror is one of my latest creations made to a very high standard in-house. This is a one-off & will be unique to your event. The Mirror is 6.5ft Tall & really looks stunning in any room. 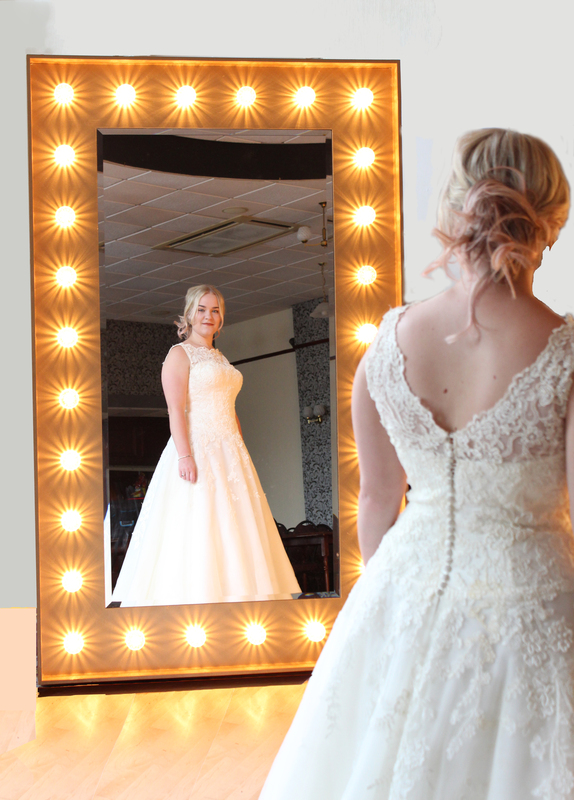 28 lights that sparkle like lush diamonds help give you some stunning pictures with your official photographer. 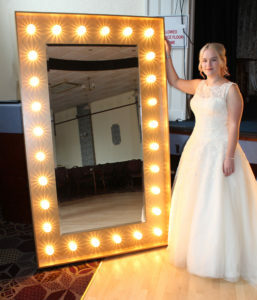 In the afternoon many clients use this mirror to put the table plan on the actual mirror glass. Once guests are seated the table plan can be removed & glass buffed up ready for the evenings antics. 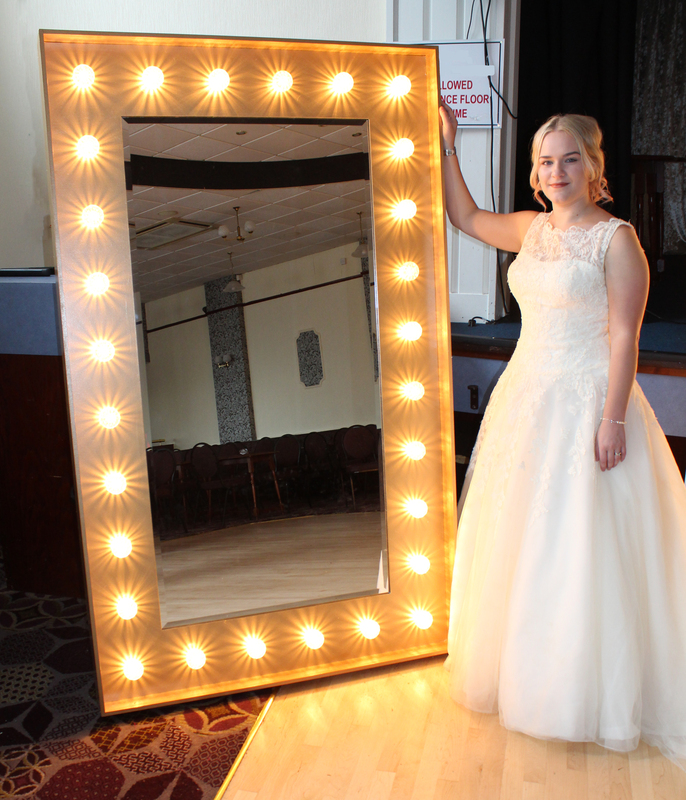 Great for all the guests to not only get a picture with it but also be able to check in full length form their hair, make up, outfit & thats just the blokes. This item is Big & Heavy so is recommended for clients who have already ordered other services. This is reflected in the pricing below. Remember if you are booking multiple services with a spend over £899 you get 25% off any service you add to your booking. So the Mirror can be added for only £90 if you are using multiple services over the spend. The Mirror is for indoor use only & once put into its agreed location it needs to stay there until collection. This is for your guests safety. We have a custom built stand for the mirror that stops it falling over & makes it very secure for piece of mind. The effect you see with the bulbs is by adding special caps called Cobochon’s. These took a while to source with the correct effect we wanted. They look like rays of sunshine & really add to the theatre of this piece.